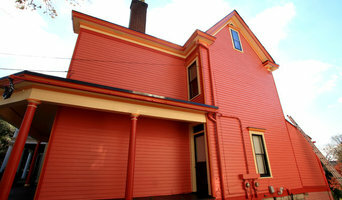 RePaint Louisville is your residential repaint specialist. We will take care of all your interior and exterior painting and light carpentry needs. We will give you the best customer experience possible from estimate to invoice. You Dream it, We'll paint it! Interior, Exterior, Residential, Commercial, All coatings - latex, acrylic, waterborne, epoxy, oil, stain, dry fall, faux, texture, repairs, dry wall finishing, wood replacement, trim carpentry, chevron, stripes, some murals, design, color consulting. We are fully insured, registered with the Secretary of State - in good standing, everyone with Albrecht Painting Inc are employees and covered on our workers comp. 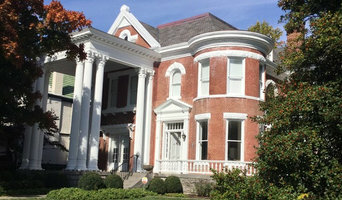 H.F. Steilberg Painting services Louisville’s finest homes and most notable businesses. For over eighty years, H.F. Steilberg Painting has been known as Louisville’s top painting contractor for high-end quality residential and commercial painting. Quality exterior and interior painting requires careful attention to detail BEFORE the first coat is applied. Our diligent preparation and unsurpassed industry knowledge is the key difference between a job done, and a job done RIGHT. No other painting contractor in Louisville is as meticulous with its preparation to ensure a flawlessly beautiful and long-lasting paint job for your home or business. For over three generations, H.F. Steilberg Painting has set the standard for painting and decorating by providing professional service, quality products and unsurpassed industry knowledge with the very highest degree of integrity. H.F. Steilberg Painting is passionate about giving back to our Louisville, KY community. We participate in painting projects for numerous local charities including Cedar Lake Lodge, Boys & Girls Haven, and more! Suffice it to say, in our 80 plus year history, it has been our pleasure to assist many more charitable organizations with their painting needs throughout Louisville. At H.F. Steilberg Painting, we believe in building a relationship with our clients. Unlike many painters and contractors who are only interested in the one time philosophy. That is painting for everyone one time and hoping not to hear from them again. We are relying on your experience with us to build a lasting relationship in the hopes of future work, not only for you, but your friends and family. WE WANT TO BE YOUR ONLY CHOICE IN PAINTING! We are a well known and trusted residential and commercial painting contractor in the Louisville Metropolitan area. Our attention to detail and quality workmanship has allowed us to be featured in multiple Louisville Homearama's and in Southern Indiana's Parade of Homes. We want our clients to have a stress free painting experience and to be completely satisfied with the quality workmanship. Being a property owner and manager himself, Founder/President Sean Clemons knows what every client really wants; professional, personalized painting services at an affordable price. We've been serving Southern Indiana and Louisville since 2004. Sean Clemons Painting, LLC. knows that every project is unique, and paying less in price shouldn't have to mean sacrificing quality. We build long-term relationships and receive a lot of repeat business simply because we're good at what we do. We refer to you as our "clients," not "customers." No project is too large or small. We provide painting services for interior and exterior surfaces; from large-scale commercial sites, business parks, and general contractors to property managers, residential areas, and municiple areas; we give every client the quality workmanship, attention to detail, and prompt and courteous service they deserve. We work closely with homeowners and property managers to make each interior or exterior painting project as worry-free as possible. When working with HOAs, we distribute notices prior to washing, preparation and painting. These advanced notices give each homeowner time to bring up any individual or special needs prior to work starting. A great deal of care is always taken to protect the landscape, patio furniture, and personal property. When the job is complete we distribute a final notice and address any remaining issues. Our goal is 100% satisfaction. Every homeowner or contractor hopes to find the most reliable contractors and the best craftsmen when constructing a new home or remodeling or beautifying an existing one. Unfortunately, it has become increasingly difficult to find responsible, reliable, and trustworthy contractors who will do what they commit to on the time schedule they promise while providing excellent workmanship. My Three Sons Professional Painting exists for this very reason: to provide the most professional and exceptional painting services to builders and homeowners with the highest degree of responsibility, reliability and integrity. Keith Zafren, is the founder of the company, providing vision setting leadership and management. Keith brings over 30 years experience in both the painting business industry and pastoral, church leadership to My Three Sons Professional Painting. He formerly co-founded and operated the Good and Better Painting Company in Berkeley, California. And he was the founder of The River Church Community (www.the-river.org) in San José, California where he served as lead pastor for 8 years. He was a founding board member and was the character/spiritual formation coach for the Prison Entrepreneurship Program (www.pep.org) located in Houston, Texas. He is also the founder of The Great Dads Project (www.thegreatdadsproject.org) and author of the award-winning book, How to Be a Great Dad — No Matter What Kind of Father You Had. Redemption Painting Company‘s driving vision is to renew the beauty of our city through painting. We serve residential and commercial buildings desiring interior and exterior projects throughout Louisville, Kentucky, and the surrounding area. -Artisan Workmanship: Offering the best available services. The high quality of our work flows from our commitment to: extensive surface preparation, appropriate safety precautions, informed project management, and artist-like workmanship. -Superior Products: Doing the Research We partner with reputable paint suppliers, research the best application strategies, and use reliable products and tools. -Environmental Responsibility: Caring for our clients, community, and city through environmentally responsible practices. * We pledge to recycle, reuse, and reduce as much as possible so that our footprint is of the bare minimum. When requested and available, we use reliable and eco-friendly products while avoiding cheap and disposable products. -Customer Satisfaction: Providing an enjoyable customer experience. We provide you with the best customer experience by clear proposals that cover both the extent of the work and its actual cost. If any work is desired beyond what is agreed upon, we will request additional formal approval in order to prevent any unwanted surprises. We offer reliable and flexible scheduling, same day responses to inquiries, and free job consultations and estimates. Additionally, we are a fully insured and properly documented company that offers our clients a one year warranty on all of our work. Weiss Painting & Decorating, Inc.
You can trust Weiss Painting & Decorating to provide a beautiful finish in any room of your home, keeping paint off the woodwork, unnecessary wall/ceiling areas, and floors. You can trust Weiss Painting & Decorating to give you a completely fair, reasonable, and accurate estimate up-front to assist you in your decorating needs. You can trust Weiss Painting & Decorating to bring the highest level of care into your home, keeping a watch over your most valuable artifacts, furniture, and accessories. Can you trust any other contractor to do the same? 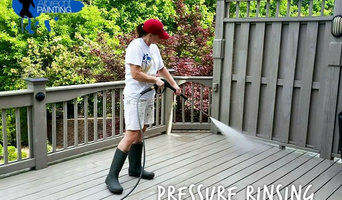 Painting Services - Interior and Exterior Daily Cleanup Correct, Extensive Prep Work, Including Patching, Priming, Caulking as needed Glazing Windows Wood Putty Trim Repairs Paint Removal Power Sanding Power Washing Custom Color Testing Plastering and Drywall Removal/Installation Skim Coating Custom Faux Finishing Remodeling Kitchens, Baths, and Living Areas Custom Renovation and Restoration History Established in 2003, Weiss Painting & Decorating, Inc. begun as Tom Weiss was working construction trades after completing high school. He saw a need for high quality, no-corners-cut finish work in residences and businesses he visited. There are many low-quality, cheap contractors out there who skimp on prep work, leave you with a less than perfect finish you'll discover in two months or less as it peels/flakes/fades, overcharge you and say they completed all the steps, and run. Tom is not one of them. Tom completes every job himself along with one other associate. He is a top quality painting/wallpaper professional with 20+ years experience in residential and commercial work. Drawing upon his background in construction trades, he is a stable, detail-oriented professional who enjoys presenting only the highest level of remodeling, restoration, painting, and decorating skill and expertise to his customers. He does not skimp on professionalism and quality, and treats your home as if it were his own. Tom attended the North American School of Decorative Art (NASODA) to further his education and technique in the art of faux and decorative finish techniques. These techniques complete the client's walls with that extra designing touch and creativity only the best painter can provide. Faux finishes come in a wide array of styles, and Tom has been educated to make your living space a true customized work of art. Paint Your World with Five Star Painting! At Five Star Painting, we understand the importance of color. 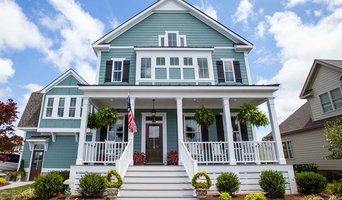 From a fresh exterior paint job that improves the curb appeal of your home to interior paint that brings style and feeling to your daily life, paint can make all the difference. 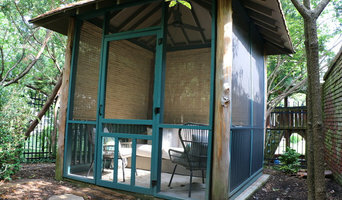 At Five Star Painting, our mission is to capture your dreams and enhance your lifestyle by adding color to your world. Don’t put off that painting project any longer, call the professionals at Five Star Painting and start enjoying your freshly painted home sooner than later. Our real estate service allows our clients to acquire the maximum amount of equity for their home. Our professional painting service is our competitive advantage because we update our client's home to be move-in ready, thus allowing your home to sell faster and for more money. We utilize drone technology and professional walk-through videos to market our client's home across multiple platforms on the internet. We were voted the #4 real estate agent on social media in Louisville by Property Spark. *Authorized 360 Painting Franchisee* 360° Painting is the #1 Franchise in the Painting category, and ranked #287 in Entrepreneur magazine’s 39th Annual Franchise 500. When you’re repainting your home or your business, a professional’s touch makes all the difference. That’s why homeowners and business owners across North America rely on the professional painting services offered by 360° Painting Louisville. 360° Painting Louisville can help turn your vision for your home or business into a vibrant reality. We deliver eye-catching results on projects of any size and any scope, offering a professional’s touch from the planning stage of your project to the final brushstroke. With an approach founded on quality, responsiveness and customer service, we’re the perfect partner for any painting project. At 360° Painting Louisville, we’re proud to be your local choice for professional painting services. Every 360° Painting location is locally owned, operated, and committed to the needs of home and business owners. Simply put, we love to see happy customers. We know how hard it can be to find painting contractors you can rely on, and we take pride in offering a level of professionalism and customer care rarely found in the painting business. We will do all that we can to make your painting project a success. We take the time to understand your vision, then work with you to ensure each step of the project goes smoothly.